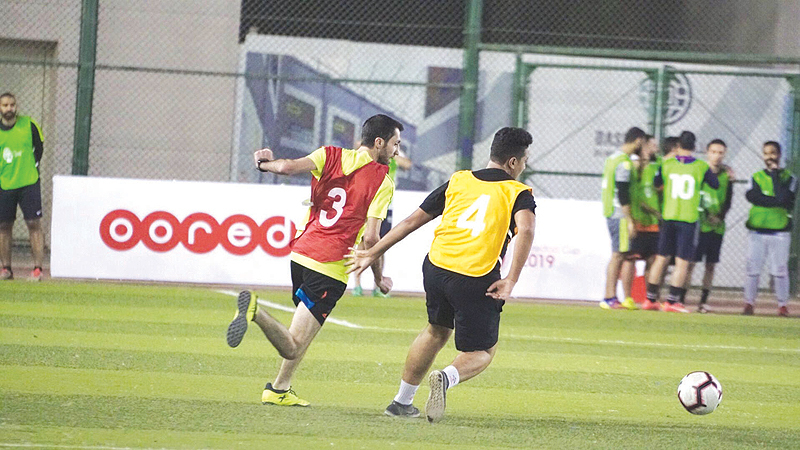 KUWAIT: Ooredoo Kuwait, announced the kick-off of the fifth edition of its annual football tournament “The Ooredoo Cup”, which officially started last week at DBS Field in Sharq. This is the fifth year in a row where Ooredoo holds this event which aims to further engage with employees from different departments and divisions. The event aspires to gather employees in a casual friendly atmosphere, outside of the office premises and working hours. Ooredoo’s Senior Director of Corporate Communications, Mijbil Alayoub said: “At Ooredoo we seek those opportunities to better engage with our employees in fun-filled activities which they like and take part of. The previous year’s football tournaments were a success and we look forward to another great one this year.” At the end of the tournament, the first place winners will be presented with the Ooredoo cup while other top-performing teams and players will be presented with medals, as well as many other valuable prizes as recognition for their accomplishment.